Student loan debt is at historically high levels and growing each day. Student loan debt is a greater part of total household debt than credit cards for the first time ever, per the NY Fed Reserve in their report on Total Household Debt. If you are a recent grad from undergrad or a graduate or professional school, then you know this already. You’re living it. You have the equivalent of a home mortgage in debt, on average, without having the home to live in that goes with it. College has become ridiculously expensive meaning nearly all of you have to borrow either for yourselves or along with your parents. Expensive debt payments over a long period of time can really set you back for savings or delay the purchase of a house. 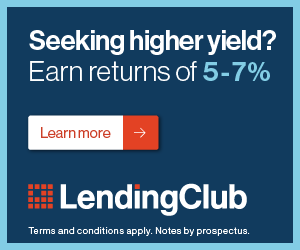 Interest rates vary wildly. Some are low and some definitely are not. I can’t help you stay out of debt but I can help you lower your rates and payments so you could save thousands in interest. I’m Stu Lustman and this is my blog. I talk about peer to peer lending as an investment and I’m a finance guy turned financial writer. Lots of research on these lending platforms and going to/speaking at conferences are part of the time I put in to learn about the industry, meet the players and see what programs are best to help investors and borrowers alike. You can read more on me on my About Me Page. Over 10 years (120 months) your payment goes down from $1716 to $1548. That’s like getting your web and phone access for free or saving for your rainy day fund or retirement. Consolidating is a good idea when you see how much you might be able to save whether for your student loans or your Parent Plus loans. Let’s look at 2 of the peer lending/online lending platforms that are leaders in this field that you should consider. The following links are affiliate links meaning I get paid if you decide to click on the links and refinance, but at no extra cost to you. LendKey has a great premise. They believe that local banks and credit unions are better resources than big, faceless money center banks like Wells Fargo. Who da thunk it? 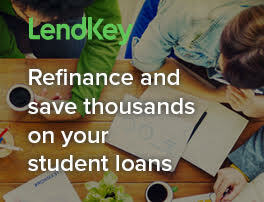 Only everyone…..but what LendKey does is play matchmaker between the local banks and credit unions they have relationships with in YOUR market to let them bid on refinancing your student loans. I love this idea. 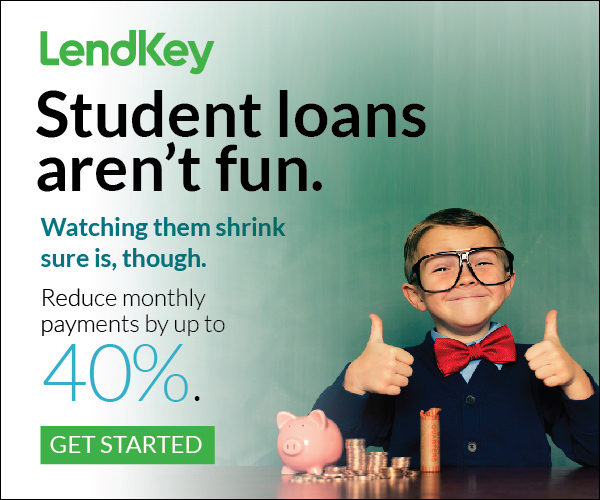 LendKey matches you up and you save money. It’s as simple as that and you can check your rate for refinancing without obligation. Med school students and grads click here. Everyone else click here, if interested. Another excellent student loan refinancing platform is Commonbond. If you have good credit and you are currently employed, then Commonbond is probably the lowest refinance rate that you can find other than doing a Chase student loan refinance or one with Wells Fargo, if you can qualify. Commonbond has excellent rates and flexible loan options. What’s really awesome about them is not just their rates, but their social mission. Their Social Promise program donates money to an African school for every loan they finance. Pretty cool, huh? You save money and help send a kid to school. If you like this idea too, then click on the logo below and check out Commonbond’s rates, also at no obligation. And both LendKey and Commonbond do ‘soft credit pulls’ meaning that the credit inquiry does not show up on your credit report, which could lower your score for future borrowing. Check out my top 2 choices LendKey or Commonbond today with no obligation to see how much your rates and payments could go down over time.